Feature: 1.For Ford BA & BF Falcon / Territory Auxiliary adaptor lead. 2.Works with all Ford BA BF and Territory(Premium Colour Screen version and LCD Display) 3.Allows MP3/iPod/CD/Media player to connect direct to fatory Radio using the inbuilt Ford Auxiliary socket. 4.Ford 5 Pin plug to 3.5mm Stereo Jack. 5.One end of the cable plugs directly into your iPod/iPhone MP3 Player and the other end into the auxiliary connection of your car stereo. 6.This is a straight through cable for those of you who have no need for RCA. Length Approx. 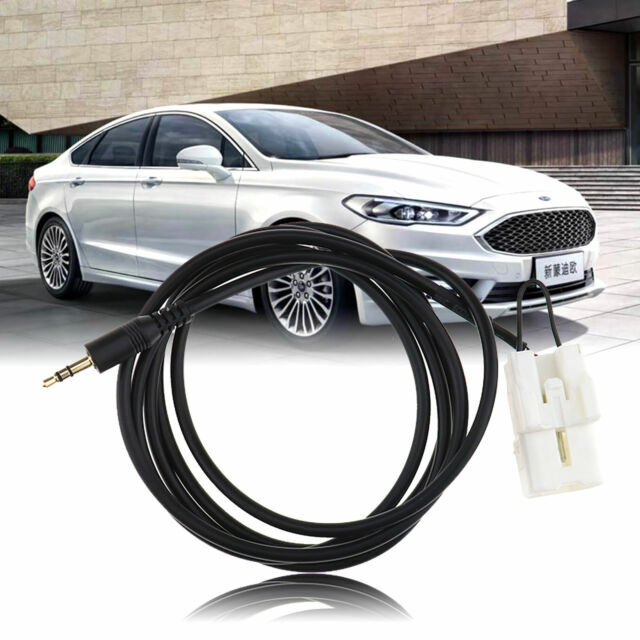 150cm Use For Ford Ba-Bf Falcon Territory Auxiliary Product Car Stereo Radio Aux Adaptor Lead Cable Cable 3.5mm Car Stereo Radio Aux Charge Harness Cable Adaptor Car Stereo Radio Aux Charge Harness Cable T.